In an in-depth review, DxO Mark, a leading camera and lens review site, declared that iPhone 8 Plus has the best smartphone camera that it has ever tested. Dx0 Mark gave the new iPhone 8 Plus a mobile score of 94, the highest yet that it has given any smartphone camera, including prior iPhone models, Google Pixel and HTC smartphones. Both iPhone 8 models feature a 12MP camera with a larger sensor, color filter, deeper pixels and optical image stabilization for both photos and videos. Apple continues to improve upon its popular iPhone camera. Last year's iPhone 7 model introduced dual cameras with independent lenses. Apple consistently helps popularize emerging new technologies such as multitouch displays, accelerometer motion sensors, gyroscopes and depth-sensing cameras that are often developed elsewhere first, but Apple refines and targets for useful, real-world applications prior to launch. In fact, one of the earliest researchers of multi-touch sensing, Jeff Han, known for helping create large conference room screens that Microsoft bought and relabeled as Surface Hub, was thrilled when Apple launched the first iPhone in 2007. Han said, "iPhone is absolutely gorgeous, and I've always said, if there ever were a company to bring this kind of technology to the consumer market, it's Apple." Through these beautiful cameras, Apple also helps educate users on concepts like distance-aware imaging, color range and how to take great portraits, in addition to how everyone communicates or takes photos or videos. Here's some pro tips from Apple for everyday use. flash-only photos show accurate white balance and excellent color rendering. The wide‑angle and telephoto lenses available on the iPhone 8 Plus enable optical zoom, with a digital zoom of up to 10x for photos and 6x for videos. Showcased earlier at WWDC, the new Portrait Mode available on both the iPhone 8 and iPhone 8 Plus models makes taking portrait photos better and easier to shoot with sharper foregrounds, naturally blurred backgrounds. With dual cameras and new facial landmarking tools, both iPhone 8 models make it easy to create dramatic studio lighting effects. Both iPhone 8 and iPhone 8 Plus benefit from the new processing power of the A11 Bionic chip. You can capture an image and create a lighting effect in the foreground in addition to the background bokeh effect. This creates the effect of a light bounce, offering highlights for the face of your subject and options to dramatically light the jawline or even completely black out the background similar to the clean, crisp shooting of studio photography on a stage. 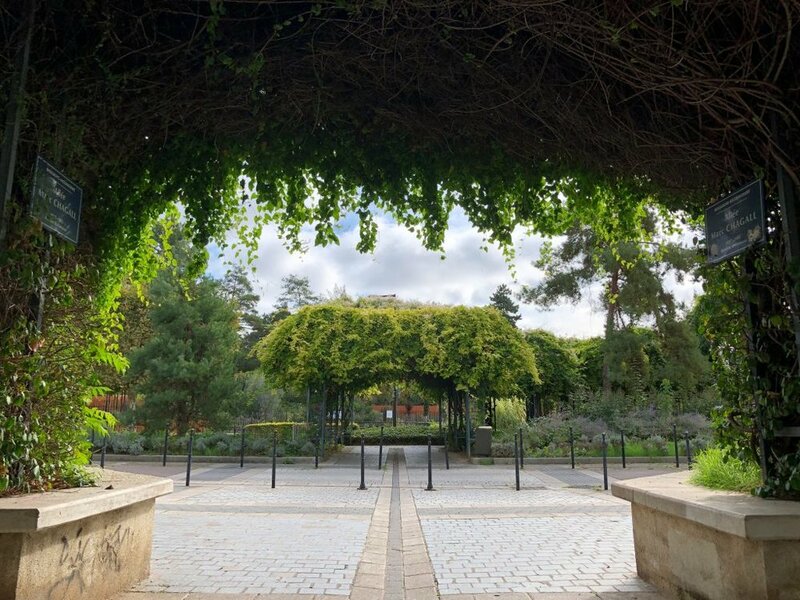 Taking intimate, powerful photographs with the iPhone has grown increasingly popular as Apple has improved and refined iPhone cameras over the years. 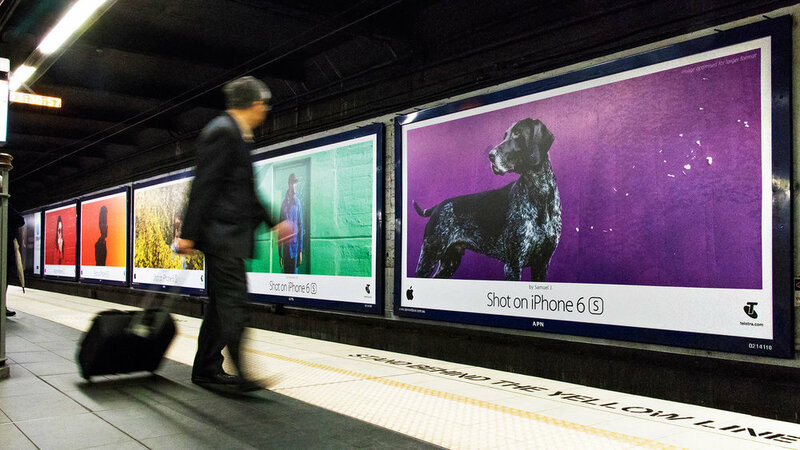 Apple and TBWA\Media Arts Lab 'Shot on iPhone 6' campaign 2016. Apple and TBWA\Media Arts Lab 'Shot on iPhone 6' series in 2016. This is evident in TIME magazine's 2017 photo shoot using only iPhones. TIME director Kira Pollack hired Brazilian photographer Luisa Dörr to shoot portraits of women for magazine covers for their upcoming "Firsts: Women Who Are Changing The World," documentary magazine series and book. Dörr's bare-bones approach with just her iPhone and a few lighting props, was disarming, friendly and made it easier to shoot. The portrait quickly came into focus with more subtlety of expression and body movement. Luisa Dörr, left, shoots Oprah Winfrey on her iPhone in Los Angeles, Oct. 2016. Image via TIME. Photographer Luisa Dörr reviews a picture edit at the TIME offices with the project team (l-r): Spencer Bakalar, Diane Tsai, Luisa Dorr, Justine Simons, Tara Johnson (front center), Kira Pollack and Natalie Matutschovsky. Image via TIME. The new iPhone 8 and iPhone 8 Plus both benefit from stronger processing power via the A11 Bionic chip, new and enhanced software ability to combine multiple frames into a single image and AutoHDR technology to render high-dynamic range scenes. The A11 Bionic uses Apple's Image Signal Processing core to understand sensor data detected by the cameras. The powerful new Neural Net processing capabilities in both iPhone 8 and iPhone 8 Plus can recognize and understand faces, bodies and objects, even in motion. Both iPhones also are better at capturing video though not as effective as the Google Pixel, but significantly better than prior Apple models. iPhone 8 and iPhone 8 Plus both offer better video quality and stability while panning or walking as well as face tracking for proper exposure. In summary, the Apple iPhone 8 Plus is an excellent choice for a smartphone photographer with its superior image quality, optical zoom, industry-defining Portrait mode, high dynamic range, face and object recognition for optical lighting and processing power.